Action Blower & Equipment (ABE), over their many years in the gas booster system industry, has proven itself capable of manufacturing gas boost solutions that are second to none. As we at ATI are determined to connect our customers with only the very best commercial HVAC equipment available on the market today, the ABE GT1400 Gas Booster was a clear choice to include on our "list." The GT1400 gas booster is used across a wide range of commercial applications where gas pressures are not high enough to safely and efficiently run heavy duty boilers, burners, generators, and other industrial equipment. 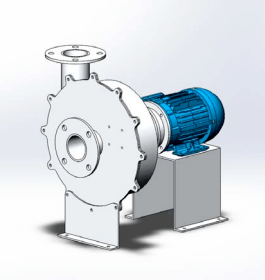 A hermetically sealed blower capable of running at variable speeds to attain high efficiency. Usable with air, natural gas, manufactured gas, and most air-gas mixtures, so long as they are non-corrosive. Static seals that, unlike dynamic seals, are virtually 100% leak-proof. No need for explosion-proof motor/wiring because motor never contacts the gas. Magnetic coupling connects motor and blower, with a gas-tight barrier intervening. Easy-access motor for fast and simple wiring inspections. The GT1400 not only can be purchased alone but can also be incorporated as part of the ABE Greenbooster gas boost system. The Greenbooster is a complete, "turnkey" unit inclusive of piping, valving, control panels, instrumentation, and all other needful accessories. 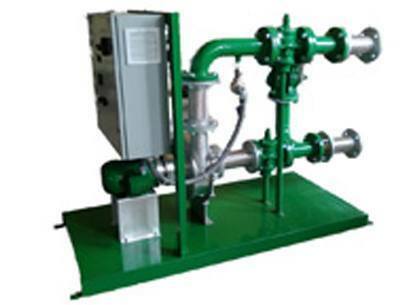 The Greenbooster is an innovative, environmentally friendly, and cost-effective solution to low pressure gas boost needs. It is the "smart" way to maximize energy efficiency, by using a variable frequency drive that prevents wasteful over-pressurization. Additionally, GT1400 and Greenbooster do not depend on gas flow for cooling, which eliminates any need for a heat exchanger. Ease of use and long lifespan are also GT1400/Greenbooster benefits. GT1400 requires absolutely no lubrication to run, which essentially makes it a 100% maintenance-free gas booster.